World-class performance within a compact design. 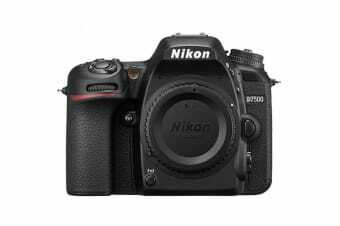 A high performer in its class, the Nikon D7500 is the perfect camera for beginners and DSLR enthusiasts. Bring out your inner creative genius with Nikon’s D7500. 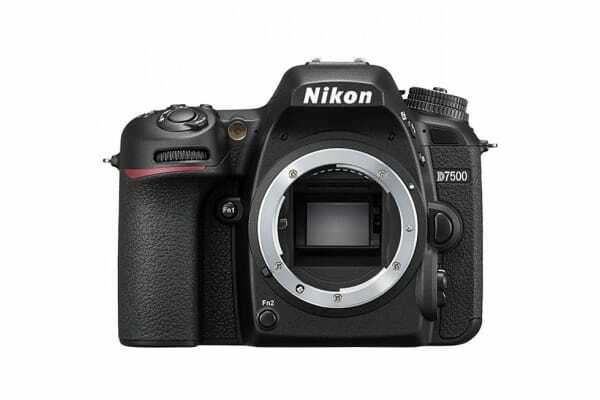 Designed for DSLR fanatics, the D7500 delivers outstanding performance in a slim, compact body. The lightweight design with weather-sealed features makes this camera your ideal shooting companion for all occasions. On a large 3.2-inch tiltable touchscreen, adjust your monitor to best suit your shooting conditions so you can capture the perfect shot at even the most difficult angles. The convenient use of the touchscreen allows you simply swipe, pinch and zoom in on your images with just your fingertips. The D7500 is as impressive as it is efficient. Truly bring your photos to life and transform the way you take images with the camera’s 20.9MP DX-format image sensor and EXPEED 5 image processing engine. Capture every moment as you see it by continuously shooting images at 8 frames per second with a super fast 51 point AF system. If that wasn’t enough to convince you, film videos using the UHD 4K video mode function and relive your memories in stunning clarity and detail.